This replica is based on an example in the Greenland National Museum, catalog no. KNK 528. The original was built in the 1950s by Peter Jensen, of Qaanaaq. 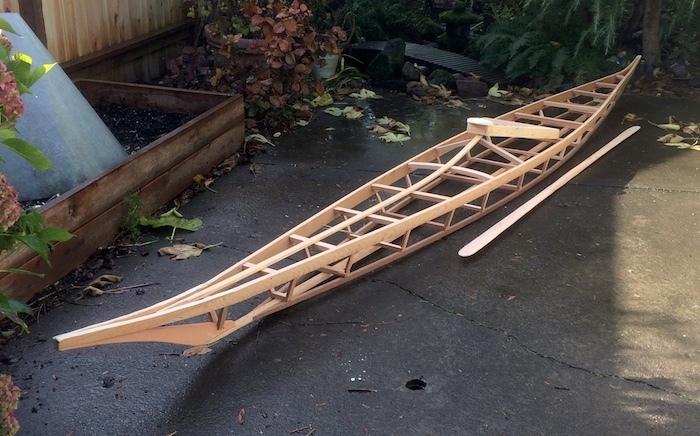 The kayak measures 16'2" long by 20-3/4" wide. 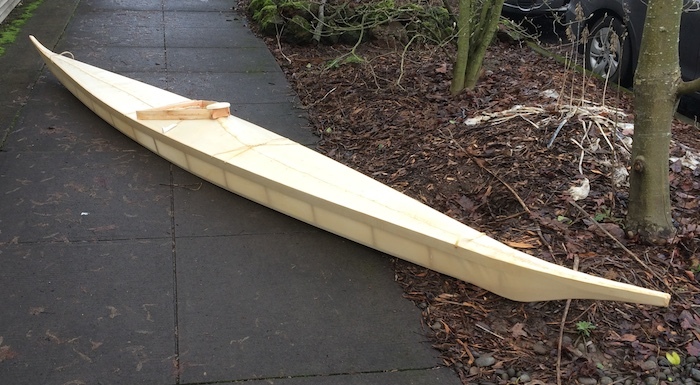 Before the 1950s, Inuhuit kayaks typically had pieced ribs instead of bent ribs; as can be seen, the cockpits were also formed from a number of straight pieces instead of a bent hoop. 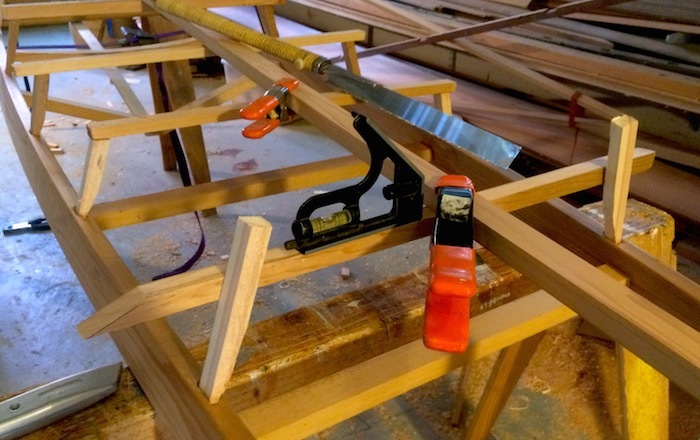 The above photo shows a step in the process of making these ribs: The vertical pieces are tenoned into the gunwales, and the floor-piece is clamped in place in order to mark where the vertical pieces should be trimmed. Behind this you can see ribs that have their floor-piece nailed in place, but haven't been trimmed to length yet. 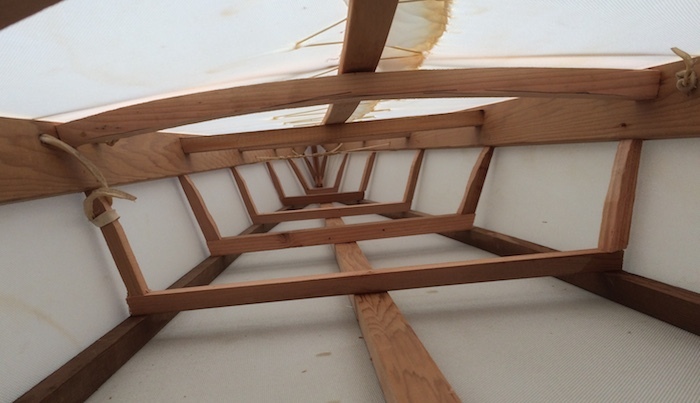 While this kayak is almost entirely nailed together, earlier Inuhuit kayaks had all of these joints lashed together. 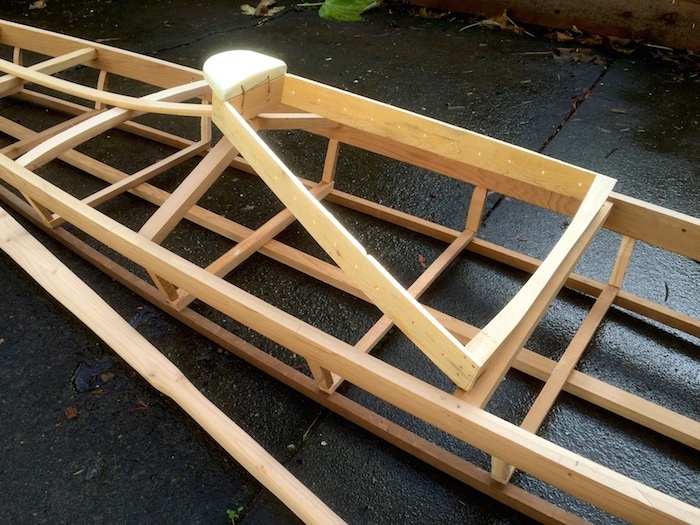 Arund the 1950s the Inuhuit began to use bent-ribs in their kayaks, modelled after more southerly Greenland kayaks. Replica completed in November, 2015.